There are hundreds of “Piña Colada Martini” recipes out there, and they’re all wrong. 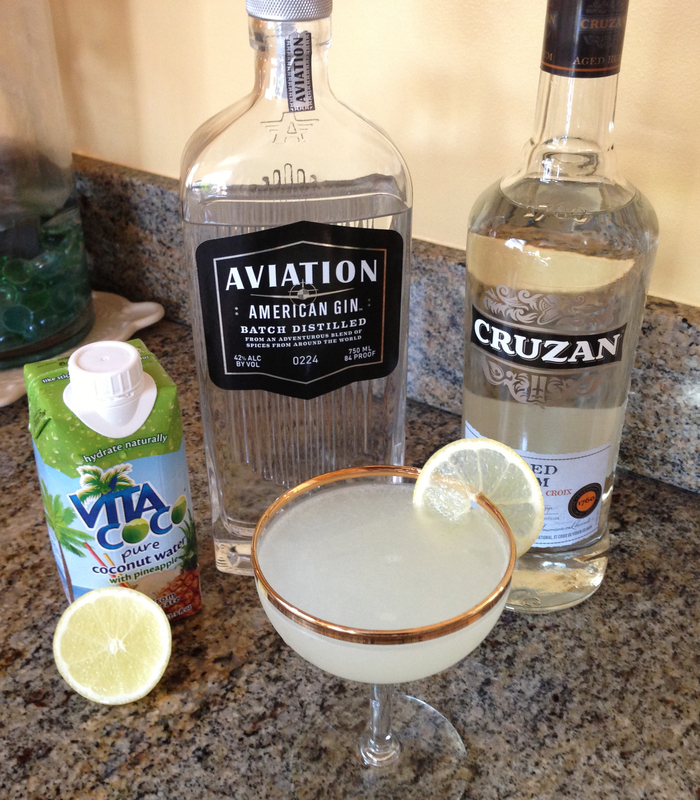 With that in mind, I set out to create a Martini that had the essence of the Piña Colada in it, but was cleaner. In classic fashion, I use zero flavored alcohol. The flavorings come from the juice. And the only odd-ball ingredient I use is “Vita Coco Coconut Water with Pineapple.” I’ve been drinking this stuff for about a year, so it’s definitely time I made a drink from it! Add cracked ice to a Boston Shaker. Add all the ingredients. Shake until your hands feel like they’re going to freeze off, then shake a bit longer. In the interest of full disclosure: this recipe came out so much better than I had anticipated. And, this was a one-shot recipe: no tinkering or adjusting was needed. If you’re looking for something new that you can sip on a hot day, this is it! Where were you when I was last in Hawaii? ?